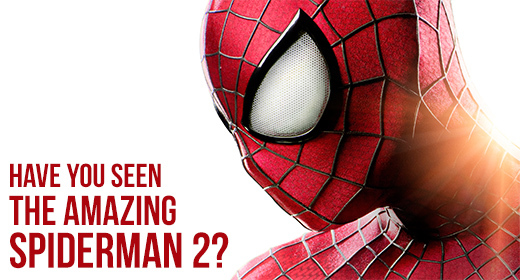 We want to hear your review of The Amazing Spiderman 2! Leave us your comments and reviews, and we’ll feature them on an upcoming episode of the podcast! I loved it. I was expecting a hodgepodge of awful after the third Raimi movie tried three villains, but this one handled it pretty well. Sure, some of the dialogue and logic was a bit off because they were trying to expedite the narrative, but the acting was great and made me care about the characters in a way I only felt toward Uncle Ben in the first one. B.J. Keeton liked this on Facebook. I’m still not sold on this reboot being necessary, but I did enjoy this movie a lot. This film nailed Spidey’s wise-cracking better than any other Spider-man movie. And **VAGUE SPOILER** even though they did the thing we knew they would do, they managed to make you really, really not want that thing to happen. 1000% agree, Jennifer Butler Keeton!